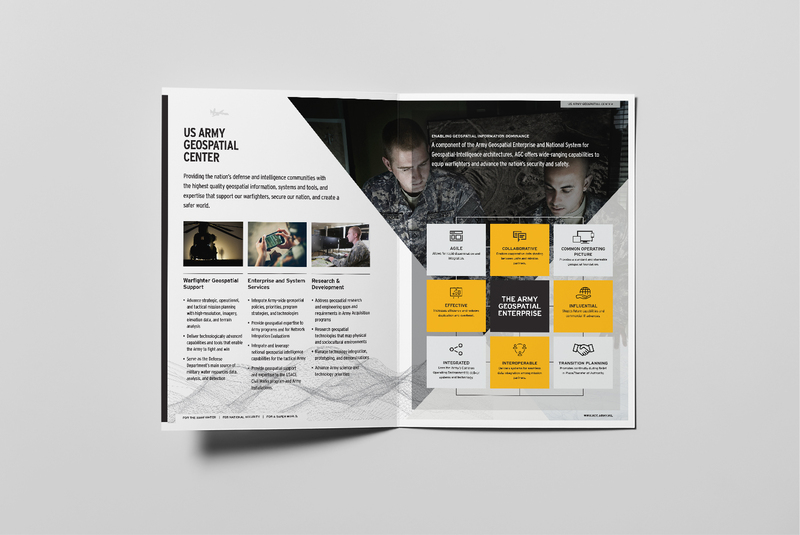 The U.S. Army Geospatial Center provides the nation’s defense and intelligence communities with the highest quality geospatial information, systems and tools, and expertise. 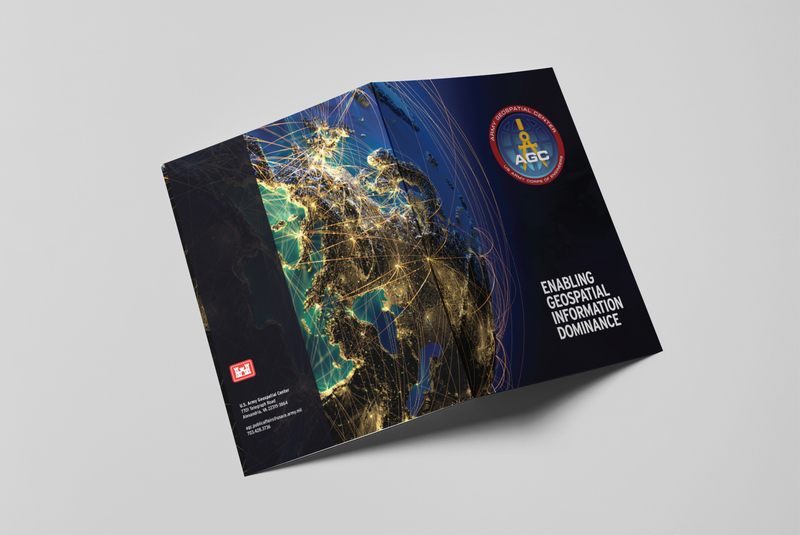 AGC’s geospatial services bring the battlefield to life for the warfighter, for national security and for a safer world. 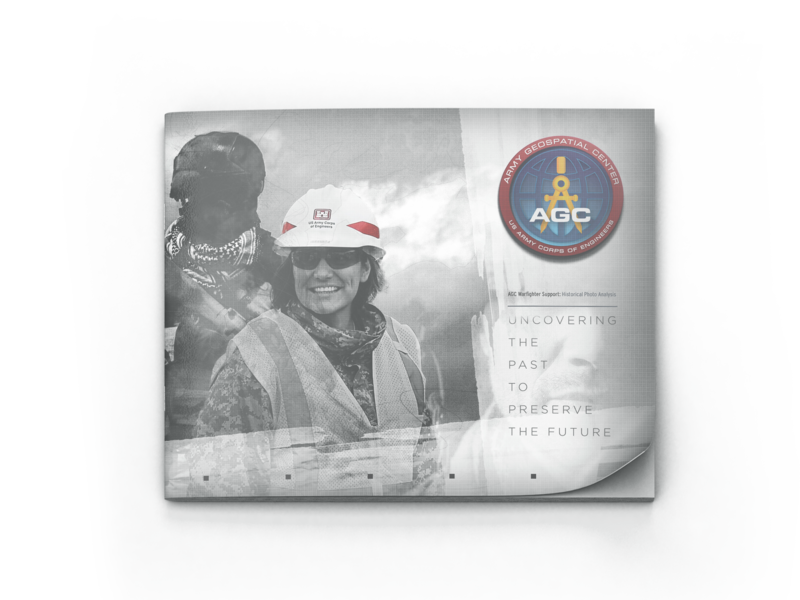 AGC maps, research and geospatial innovations help the United States and global partners plan missions, protect people, secure assets and promote safe operations. 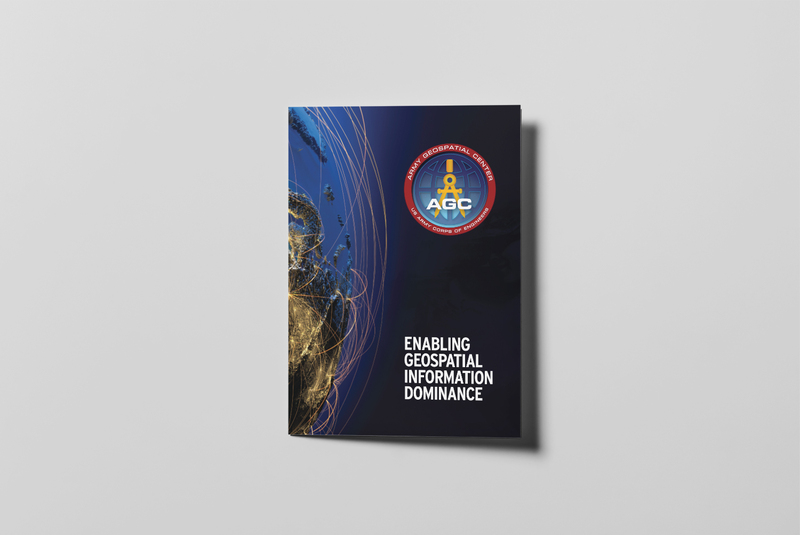 AGC’s communications materials needed updated materials that better illustrate these high-tech capabilities to its growing audience of professionals from military and federal agencies, non-U.S. governments, academia, industry and others. 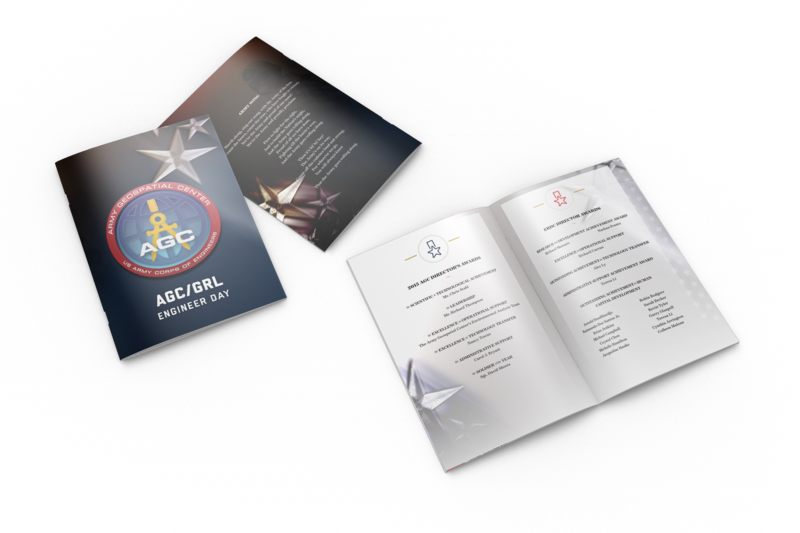 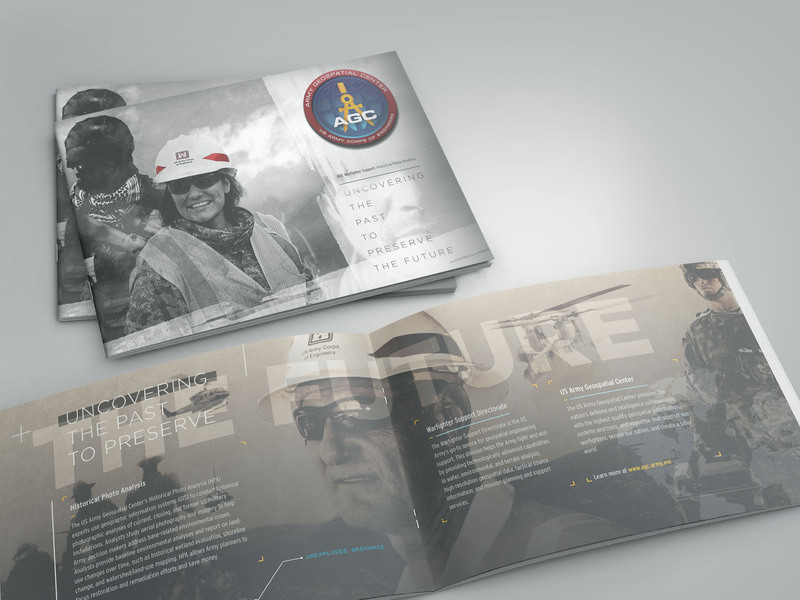 Aptive’s award-winning copyeditors and graphic specialists are using plain language and bold design to create collateral materials that showcase AGC’s many contributions to the nation’s security. 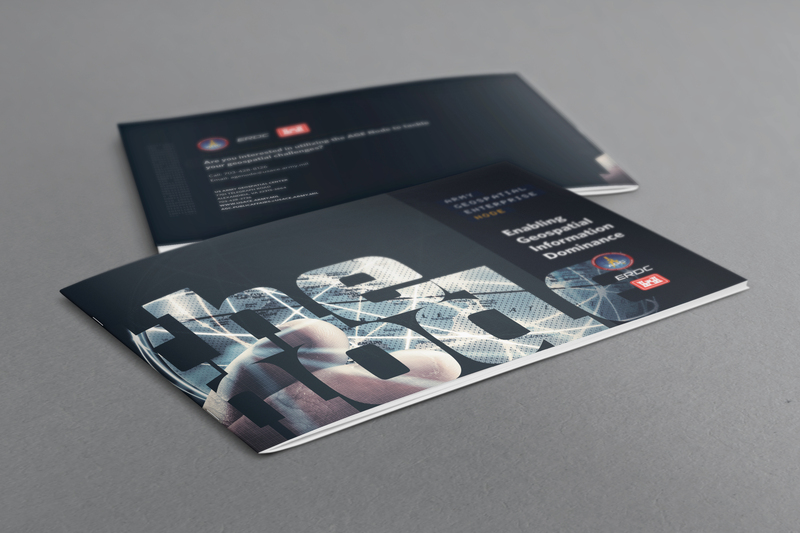 We work closely with subject matter experts to collect and distill complex information. 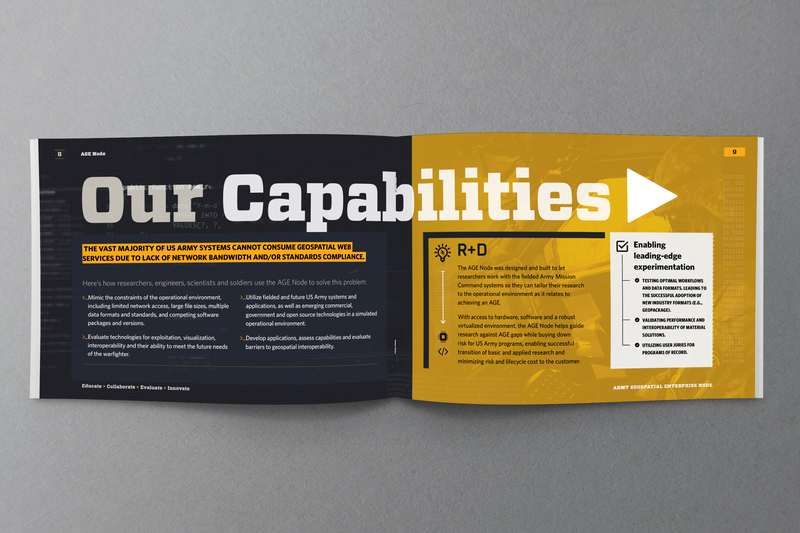 We simplify technical language into easy-to-understand messages. 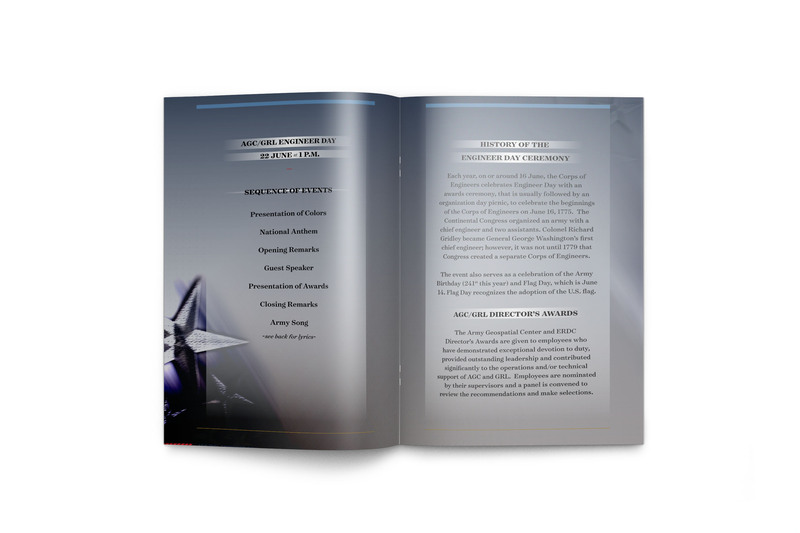 We develop and refine design concepts for review and approval. 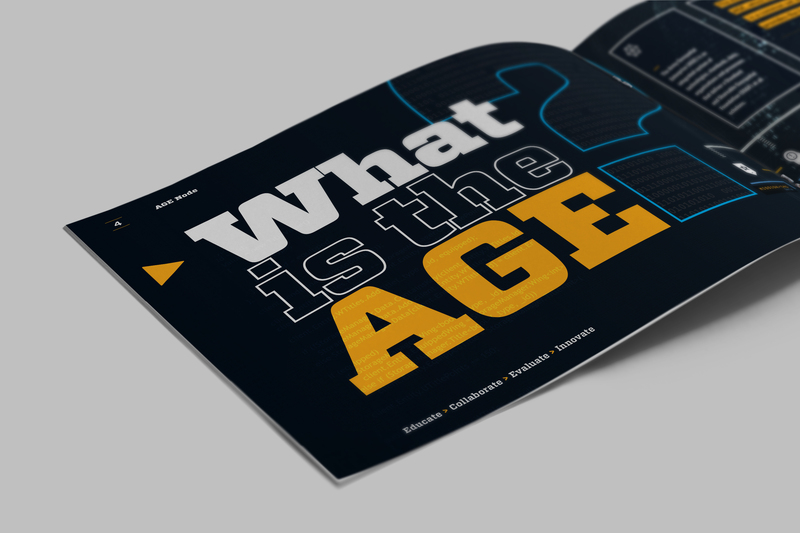 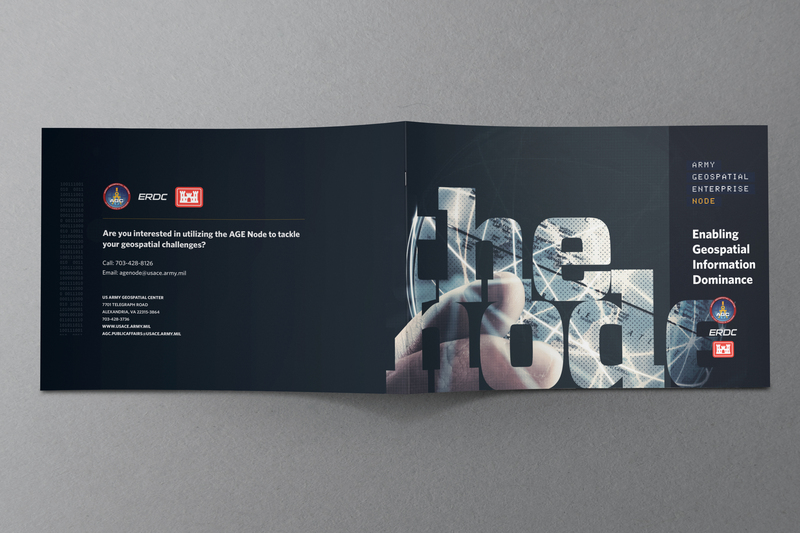 We use Adobe Cloud — InDesign, Illustrator, Photoshop and other software — to create detailed backgrounds and original imagery that integrate with text to attract and keep readers’ attention. 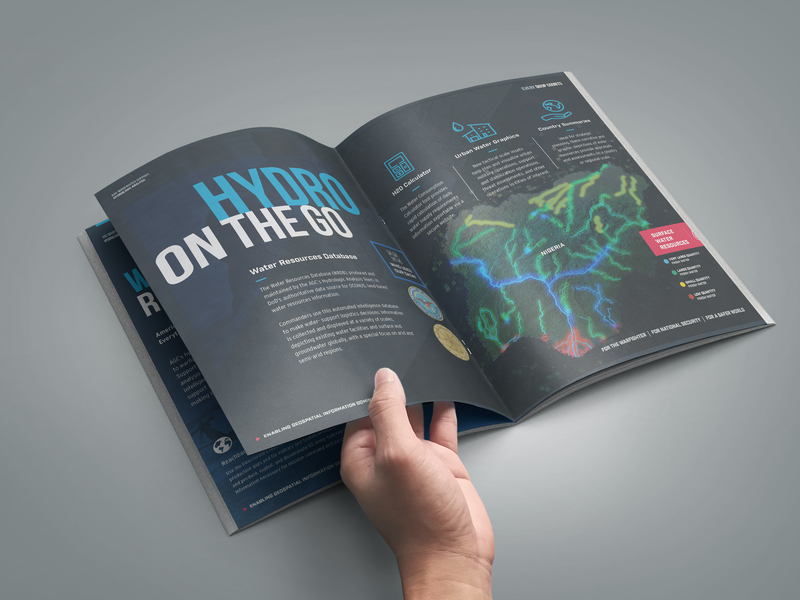 The results are contemporary brochures, logos, posters, slides, wall mounts and other materials that convey information with depth and multidimensionality. 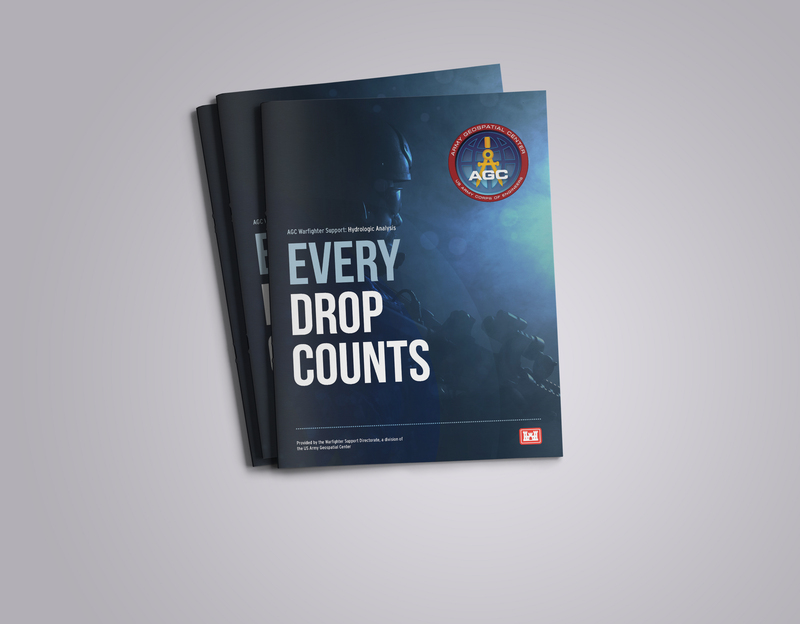 Our “Every Drop Counts” brochure won two Bronze summit awards for highlighting, through crystal clear messages and sophisticated design, AGC’s ability to locate and analyze the water resources critical to warfighter safety and mission success. 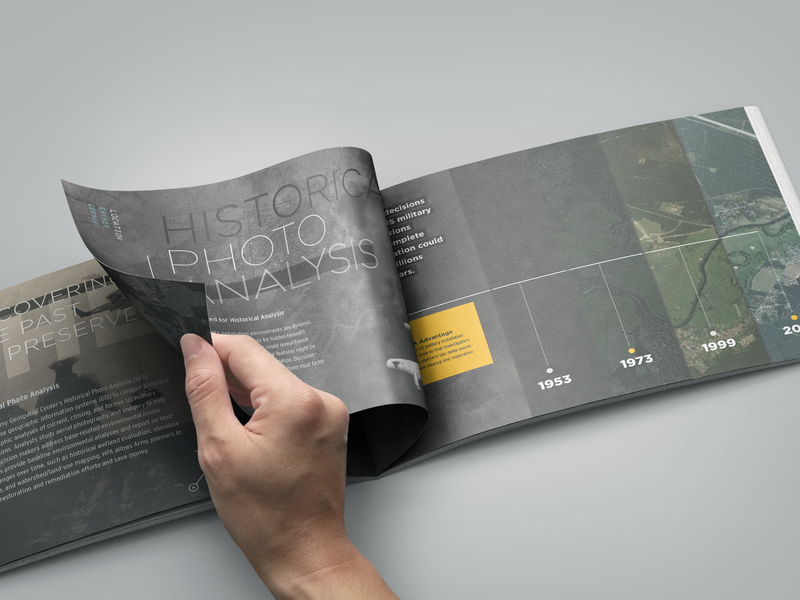 The Historical Photo Analysis poster touts AGC’s aerial photography and imagery reporting capabilities. 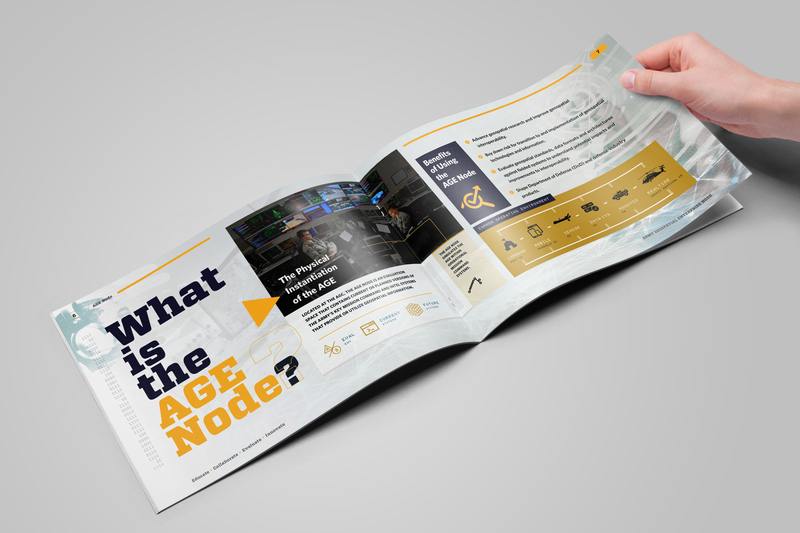 The Army Geospatial Enterprise Node brochure uses iconography and photography to tell the story of an AGC lab that simulates the common operating picture and assists in developing systems for defense, commercial, government and open-source applications. 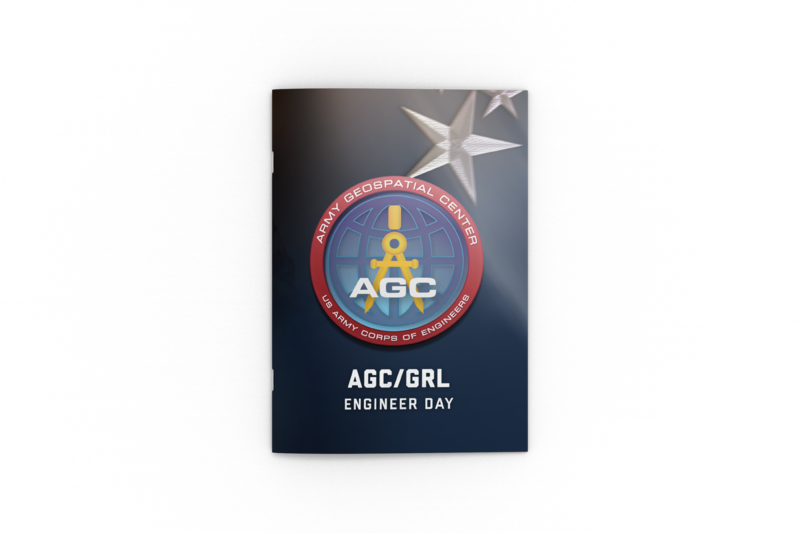 More than 5,000 brochure copies have been printed and handed out at conferences and to the more than 10 high-level officials visiting AGC each week. 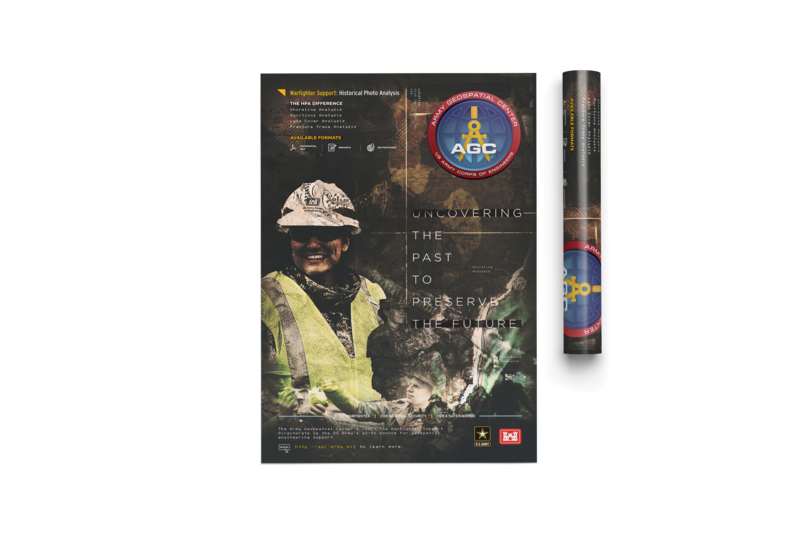 Large posters, reprinted at least 10 times, illustrate AGC directorate work to the over 40 monthly visitors who come from all over the globe to learn about its work on behalf of the U.S. warfighter.